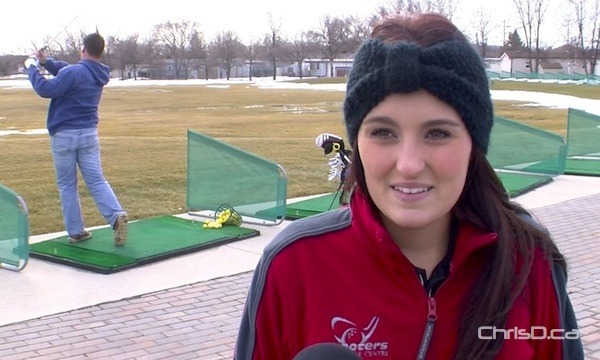 Eager Winnipeggers dusted off their golf clubs and hit the links on Wednesday, albeit a driving range instead of a full 18 holes. 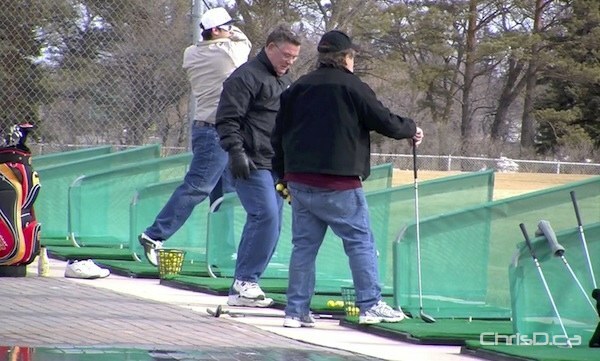 Shooters Family Golf Centre on Main Street opened for the season, bringing out about a dozen golfers less than an hour after turning on its open sign. The mild, spring-like weather the city has been experiencing is certainly a blessing, especially given that less than one week ago, motorists were sliding into the ditch and dealing with blistery winter conditions. Wednesday’s daytime high was forecasted to get up to 10°C. “It’s very exciting. It’s a little bit earlier than normal for us, but with the fantastic weather we’ve been having, we’re more than happy to be open,” said Shooters’ pro shop manager Amy Cerasani. The golf centre is usually open by about March 26 each year, so staff are happy to be open two weeks earlier than usual. If the warm weather trend should keep up, Shooters hopes to have all of its 18 holes ready for play by April 1. Around the city, other seasonal hotspots are welcoming business with open arms, including the popular downtown hot dog and smokie carts. Even Sargent Sundae on Portage Avenue was serving up ice cream this past weekend to meet the demand of the above seasonal temperatures.